Kapil Dev Ramlal Nikhanj has been a Indian Cricket player, and is said to be one of the all time greatest all-rounders to have existed in the world of Cricket. Kapil also served the Indian Cricket team as its Captain, and is famous for being the only Captain of the Indian Cricket team that led it to win a World Cup Cricket Trophy in the year 1983.Early Life Kapil Dev was born on the 6th of January 1959 at Chandigarh, India. He began his Cricket career in Domestic Cricket from the Haryana team, with a match played against Punjab team in November 1975. Kapil took 6 wickets in the match and helped Haryana to win the match. Domestic Cricket Career Kapil gave his best performance of his initial times in a match against Bengal, in which he took 7 wickets giving only 20 runs within just 9 overs in the second innings. Although Haryana was beat by Bombay team in the quarterfinals, his performance brought his talent under the limelight. Debut He debuted the Test Cricket with a match played against Pakistan at Faisalabad in the year 1978. During the 3rd Test match played at Karachi, he scored the fasted half-century made by any Indian cricketer off just 33 balls. Kapil’s One Day International (ODI) debut was made on 1st of October 1978 in a match played against Pakistan at Quetta. He scored 13 runs and took 1 wicket giving 27 runs in the match. Captaincy He was made the Captain of the Indian Cricket team in the year 1982-83 for a match against Sri Lanka. He began as a regular Captain of the team with the tour of West Indies. World Cup 1983 During the 1983 World Cup, Kapil scored a huge 175 runs off 138 balls against a crucial match against Zimbabwe. India won this match by 31 runs and went on to win its only World Cup Trophy. This innings played by Kapil has been regarded as one of the Top 10 ODI Batting Performances of all times by the Wisden magazine. After the World Cup victory, the Indian team lost its grip and faced some bad defeats due to which Kapil was removed from the Captain’s seat and Sunil Gavaskar again became the Captain in the year 1984. Again in March 1985 Kapil got the Captaincy back and led India to World Cup 1987. India lost to Australia in the Semi-Finals, and Kapil’s Captaincy came to a permanent end. 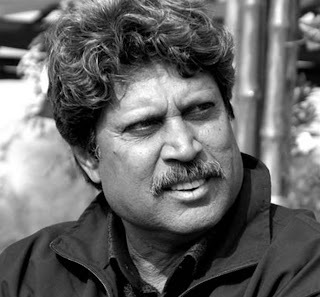 Vital Statistics In his Test Cricket career, Kapil Dev played 131 Test matches in which he scored 5248 runs with a Batting Average of 31.05 runs. His highest score was 163 runs. As far as bowling is concerned, he took 434 wickets in the Test Cricket, and gave away 12867 runs with an average of 29.64 runs. Kapil played 225 ODI matches throughout his career, and scored 3783 runs with an average of 23.79 runs, his highest score being 175 not out. He took 252 wickets, and gave 6945 runs with an average of 27.45 runs in his ODI career. Kapil served as the Coach of the Indian Cricket team between October 1999 and August 2000, but resigned after match fixing allegations were imposed upon him. The Wisden magazine named him the Indian Cricketer of the Century in 2002, and has been conferred upon with Arjuna Award, Padma Shri and Padma Bhushan awards by the Government of India.